Book titled Transcendence: My Spiritual Experiences with Pramukh Swamiji authored by former President Dr APJ Abdul Kalam and Arun Tiwari was released on 15 June 2015. 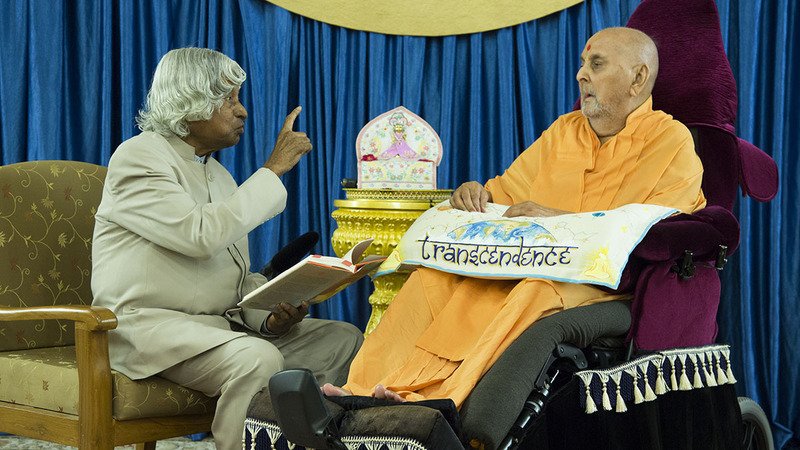 In Transcendence, the authors Dr Kalam and Arun Tiwari have mapped a journey of self-realization reflected in the eyes of Pramukh Swamiji, painting a delightful fusion of spirituality, science and leadership. His candid vignettes (literature) from life on the centre stage of Indian technology and societal missions, Indian politics and world affairs are interwoven with revelations of a profound connection with Swamiji. Through the life of Pramukh Swamiji and the history of the Swaminarayan mission, Dr Kalam traces the great rise of the Indian diaspora across the world. Drawing from the lives of great scientists and creative leaders, Transcendence captures the spiritual essence of all religions and is as much a fountain of inspiration and a treasury of wisdom as it is a tribute to the multi-faith Indian society. Pramukh Swamiji Maharaj, one of the most inspiring spiritual figures of modern times and the fifth spiritual successor of Bhagwan Swaminarayan, is the inheritor of a legacy of Gunatit gurus hearkening to the early nineteenth century. Pramukh Swamiji became a friend of the eleventh president of India, Dr APJ Abdul Kalam. Together they created an unparalleled spirituality-science fellowship. Bahrain-based GFH Financial Group on 28 June 2015 signed an agreement with Indian conglomerate Adani Group for developing a Mumbai Economic Development Zone (MEDZ). 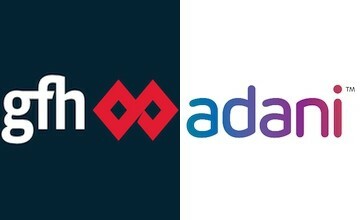 Under the agreement, the GFH’s unit Energy City Navi Mumbai (ECNM) and Adani Group will work together in creating the master plan for the lands of Phases II and III of the project, which will offer world class business infrastructure for local and international services including IT companies. The financial group’s two units ECNM and Mumbai IT and Telecom City (MITTC) are two core components of the Mumbai Economic Development Zone (MEDZ). While, Adani Group will develop core infrastructure on these lands and will also commence the pre-sales and construction works on the site. Investors will receive a 15 percent revenue share from sales made by Adani Group on the development on these lands and less local taxes, if any. This agreement is a part of GFH’s exit strategy for the project where annual sales payments will be made by Adani Group. GFH is one of the most recognised financial groups in the gulf region that includes asset management, wealth management, commercial banking and real estate development. It is listed in Bahrain Bourse, Kuwait Stock Exchange and Dubai Financial Market. Private insurer Bajaj Allianz on 28 June 2015 launched a weather-based crop insurance scheme for orange crops in Nagpur, Hingoli and Washim districts of Maharashtra. This index-based insurance policy will cover losses incurred by orange fruit-growing farmers due to deviation in weather conditions. The losses will be assessed on the basis of pre-defined and government-approved term sheets and actual weather data received from an approved automatic weather station installed in each block of these districts. Farmers who have taken loan through the kissan credit card (KCC) will automatically get insured under this scheme by their banks, while those who don’t have KCC but savings accounts need to visit the bank branches and authorize the banks to enroll them in the scheme. The company also launched a campaign to create awareness about the scheme in these three districts. As part of the awareness campaign, a van will travel for 10 days in the orange-growing belt of Katol, Narkheda and Kalmeshwar and educate farmers. It will also use radio, hoardings, street plays mediums. The company identified the need to offer the product in these areas looking at the volumes of the produce and how unfavourable weather conditions had an impact on produce. It will mitigate the losses incurred and ensure that farmers do not lose out on their income because of uncertainties of nature. 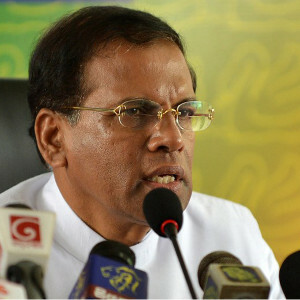 Sri Lankan President, Maithripala Sirisena dissolved the Parliament on 26 June 2015. Sirisena signed a gazette notification dissolving parliament in an effort to consolidate power and push through political reforms. Sirisena dissolved the parliament within 160 days after assuming his office in January 2015. This dissolution ends the term of the coalition government that was appointed for a period of 100-days after the presidential election. The date of dissolution was extended to implement Constitutional reforms. To elect a new Parliament, elections will be held on 17 August 2015. The district administration of Nadia, West Bengal was on 26 June 2015 conferred with the United Nations Public Service Award 2015 for eliminating open defecation in the district. The award was presented by acting Secretary General of the UN Lenni Montiel along with Head UN Women Stefani Senese to District Magistrate of Nadia and Sabhapati of Nadia Zilla Parishad on conclusion of United Nations Day Celebrations 2015 held at Medellin, Columbia. Nadia district could achieve this feat due to its collaborative effort with the United Nations Children’s Fund (UNICEF) and World Bank aimed at construction of toilets across the district. Till October 2013, half of the district’s population was defecating in open spaces. However, the situation was improved under the Sabar Souchagar (Toilets for All) programme that was launched on 2 October 2013 by the district administration. Under this programme, around 356000 toilets were built that resulted in decline in the number of people continuing with the practice to meager 0.2 percent. Earlier, on 30 April 2015, West Bengal Chief Minister Mamata Banerjee declared Nadia as the first open defecation-free (ODF) district in India and launched Mission Nirmal Bangla (MNB) aimed at making the state open defecation free. She also declared 30 April as Nirmal Bangla Diwas, to be observed across the state, to mark the occasion. It is the most prestigious international recognition of excellence in public service. It rewards the creative achievements and contributions of public service institutions that lead to a more effective and responsive public administration in countries worldwide. 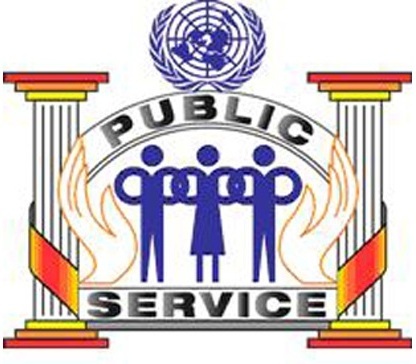 In 2014, the project Mobile Seva under Department of Electronics and Information Technology (DeitY) had won the second rank in the 2014 United Nations Public Service Award. It won the second place in the Asian and Pacific Region in the Category 3: PROMOTING WHOLE OF GOVERNMENT APPROACHES IN THE INFORMATION AGE. Besides, President also felicitated five veteran freedom fighters in the function. The Punyabhushan (Pride of Pune) award constituted by Tridal, Pune is annually announced by the Punyabhushan Foundation on 23 March with a view to commemorate the memory of Indian revolutionary martyrs Bhagat Singh, Sukhdev, and Rajguru. It is awarded to an eminent personality from the field of art, music, culture, science, industry, social service, or sports in the city of Pune Maharashtra, India. The award carries a memento and cash prize of 1 lakh rupees. 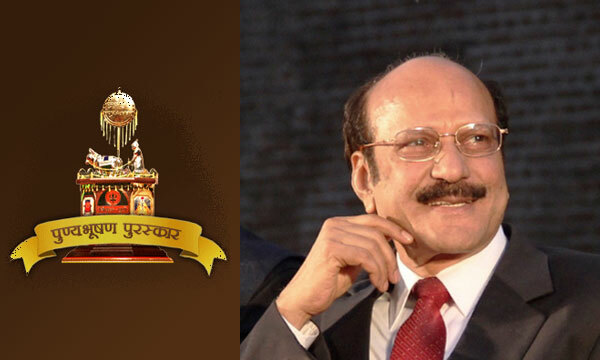 26th Punyabhushan Award was presented to Dr Cyrus Poonawalla for his contribution to the field of Medicine & Research.